Is advice better than feedback when it comes to lesson observations? I follow Doug Lemov, author of Teach Like a Champion, on Twitter (@Doug_Lemov) and always enjoy his willingness to share ideas and engage in discussion and debate with educators. Over the Christmas break, I noticed a link he had posted to his blog. It concerned lesson observations and posed the idea that, rather than simply wait for the post-lesson conversation to give feedback, it would be more productive to offer advice and collaboration prior to the lesson. A simple idea, yes? So why, once we pass our NQT year, do we tend to allow teachers to teach in splendid isolation and then wait till after the lesson to pass our judgement? I was struck by the simplicity of this idea: discuss the lesson prior to the observation. Advice beforehand rather than only getting feedback afterwards. I know how busy we all are though and could foresee some reluctance to making what was effectively a two-part process into three-parts. It felt worth the extra step though, so I took it to my line manager and department and suggested we trial it. Straight away, their reaction was positive. One of my department team is in her second year of teaching. She said she would welcome the chance to discuss her lesson. She remarked on the loss of explicit lesson planning input, other than informally with colleagues, once you end your NQT year. She commented on how that can sometimes leave you feeling unnecessarily worried about your lesson observation and so would be very happy to be involved. More experienced colleagues were equally as willing to give it a go. Where are the class currently up to in the unit of work? What levels are they working at? What will they have done in the previous lesson? What will they do in the next lesson? What do you want the pupils to learn in this lesson? How will they (and I) know they have achieved this? What are you doing to support pupils who may find this difficult and stretch those who need more challenge? The benefit of this for the teacher being observed was that we were able to share ideas about lesson structure and activities. They got a chance to try some ideas out and, sometimes, the act of talking their lesson through led to them changing their minds about the structure of activities or how they were going to demonstrate learning/progress. It also helped to contextualise the lesson; with the discussion including previous and next lessons it becomes harder to give in to the temptation of a one-off ‘show’ lesson simply there for the purposes of wowing the observer. I should point out that I too went through this process with my Head Teacher. Prior to him observing me, we sat down and had our pre-observation discussion. I found it incredibly useful. He is not an English specialist, but he is an experienced teacher, and so his input and questions were very valuable. They challenged me and helped me focus on the pupils’ learning. During the observations themselves I, as observer, felt much more confident in my understanding of the lesson’s context. I felt more able to engage in conversations with pupils, look at the work they had been doing in their previous lessons as I knew the background to the lesson. I felt I could sit back and enjoy the lesson, rather than juggling the task of reading and digesting a lesson plan, making notes and trying to observe the classroom. As a result, I believe my observations on the learning of the pupils and the progress they were making were more astute and thorough. And when I was being observed? Well, I was confident that my Head knew what we were doing and could understand the purpose of the lesson. This made me breathe slightly easier. If I needed to deviate from my lesson plan, I was happy that he understood the bigger picture and would be able to see how/why I was re-shaping activities. It was the most relaxed I have felt about being observed. After the lessons had taken place it was obviously time for the traditional ‘feedback’ session. Again, this felt different. As the observer, it felt much more of a dialogue about the lesson and learning rather than my colleague simply waiting for a judgment to be given. (I should point out here that we currently still grade observations.) We were able to discuss how their planning had impacted on pupils’ learning and discuss what had worked in a more collaborative way. I didn’t feel like I was simply passing a judgment. Now, I would be remiss if I didn’t mention that there had been some reluctance elsewhere amongst the staff. Having launched this idea with the English department, it was then taken to our staff Teaching and Learning Forum. Speaking to some colleagues, they felt like it was a false situation as ‘Ofsted don’t discuss your lesson with you’ or one which would lead to ‘everyone getting a better grade than they might’ve without the help.’ To address this, I would argue that an annual observation linked to performance management targets is not the same as an Ofsted observation and neither should it be. As such, we should be supportive and not simply judgemental. Staff should be offered advice rather than simply have a ‘grade’ slapped on them. This three-part process makes that support and collaboration have more of a weight. It became a learning opportunity for teacher and observer, rather than just a judgement. 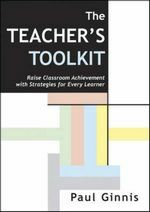 “in Success Academies, the teachers and leaders invest more time and brainpower in practicing lessons before they teach them than conducting post-mortems and giving feedback on lessons that already happened. As a teacher, getting feedback on a lesson to ensure its success ahead of time is incredibly practical, actionable and supportive. It means I go into my lessons more confident and prepared. That sounds like a great way to feel at work each day. As a coach, it seems like a powerful use of my skills and abilities to engage with teachers about lessons to come, to dig deeply into the content and the “why” of the lesson. It also positions me more as a partner in the work, rolling up my sleeves to work out the lessons in advance. @dailydenouement really enjoyed reading. thx for sharing. I found Bill Lucas’ keynote interesting. It wasn’t only what he said but, through the power and instant nature of social media, the things others in the audience and beyond were making of the speech as snippets were being tweeted throughout. To say it was controversial and opinion-splitting is perhaps an understatement, but let’s be honest, it’s good to be challenged. Anyway, I digress. His talk. I’m going to focus simply on the key take away points which resonated with me. I will link to the whole presentation at the end. This made me reflect as I travelled back to Liverpool. I checked my recent use of our Vivo system and the commendations I’d given: was I praising or rewarding outcomes or efforts? On balance, I probably praise effort more than achievement and yet, during lessons, could I say the same? In the moment, am I recognising the processes or journeys my pupils are going on or just the outcomes? I’m setting myself a challenge: when we return to school after the Easter break, I’m going to ask our PGCE student to observe some of my lessons and keep an eye/ear out for my use of praise. I think we should praise/recognise the efforts made by our pupils. They need to reflect on the processes they go through and understand how to learn from any mistakes. Praising this, pointing it out to them, might make a difference. 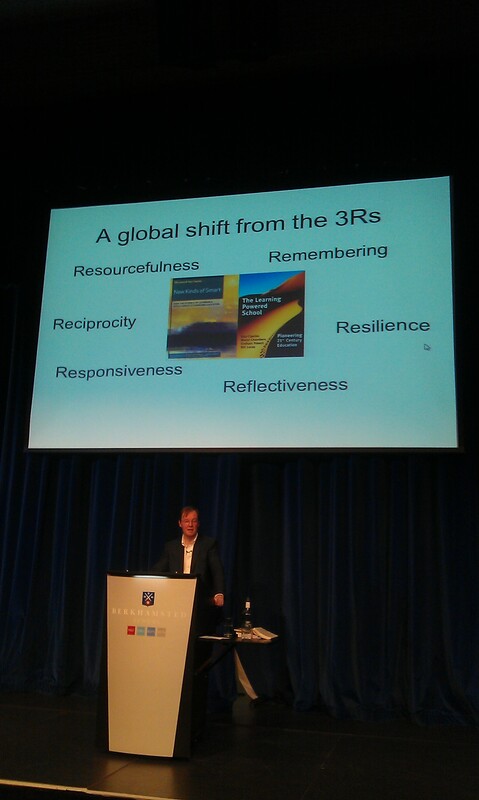 The next point I have taken away from Bill’s presentation, is the need to move away from the traditional three Rs of reading, writing and ‘rithmetic . Obvious? Well, yes. Despite the best efforts of the Gove-ian machine, we’re not teaching in the 19th century. We’ve moved on. So why was this suggestion so thought-provoking? But again, I’m digressing. The 6Rs. Do we teach our pupils these skills? Do we embed them in our curriculum? Do we need to? This is what I’ve been pondering post-Lucas. Some of my pupils are not resilient. If they “don’t geddit Miss” then they seem unable/ill-equipped to try again, to fail again, to fail better. “Do I need this for the exam?” is a question that sends chills right through me. They can be incredibly resourceful (especially when trying to check their BBM or text messages in class!) but how resourceful do they need to be when they can just rely on Google for the answers? I’m an ex-retail manager and recruitment consultant. I understand that employers want world-of-work-ready pupils when they leave at 18 or start their first job post-university. I think this may be why this part of the keynote spoke to me. Are we equipping our pupils with the skills they need? You may not agree with Bill Lucas’ 6Rs, there may be other things you’d add to that list. Can we ever hope to future-proof our pupils in such a fast-changing world? I think we have a duty to do our best and try. Rosie McColl at #TLAB13: can pupils be more effective teachers? One of the biggest challenges I find is making student presentations effective, so again, my choice of second #TLAB13 workshop picked itself. Rosie McColl, Deputy Head of English at Berkhamsted School, led a workshop which posed the question: can students be effective teachers? Rosie had endeavoured to fix the age-old problem of ineffective group presentations. I thoroughly enjoyed Rosie’s workshop as it contained ‘real’ (video) examples of her action-research. they enjoy the research but don’t like the feedback if it isn’t engaging, detailed or the presenter(s) is nervous. if all class are doing the same topic, fine but if not, we only really learn our own topic. it’s nice to hear other voices and views though. I don’t trust other pupils’ research – teachers should validate content. This was backed up eloquently by several pupils in the audience (and whoever’s school they were from, they were a credit to you) who echoed much of what Rosie’s videoed pupils had shared. So, what can be done to improve on this? We’ve all come across research that says we learn best when we teach others, so equipping our pupils to do this effectively must be the holy grail. Rosie’s approach was simple but effective. Her year 10 boys were looking at war poetry. They needed to makes links and connections. The class was split into groups and all were given a selection of unseen texts, poetry and prose. Half the groups were tasked with presenting their findings via the traditional method of ‘telling’ the audience. The other half were told only to use questions when presenting their findings. We saw videos of the pupils feeding back. The ‘tellers’ were predictably dull with a fairly dis-engaged audience. The ‘questioners’ were much more engaging. Both audiences, classroom and conference, were paying attention, considering responses, involved. Rosie said she was simply offering one idea of how to make pupils better teachers, she wasn’t claiming it was the best or only solution. Sometimes though, it’s the simple ideas which are the best. Pupils as questioners and not tellers: there’s my year 12 lessons planned for the next week or so! As an English teacher (and self-confessed Twitter-holic) then the choice of the first #TLAB13 workshop was a no-brainer: I was going to listen to David Didau’s Anatomy of an Outstanding Lesson session. For those of you who don’t know David, he is an associate member of SLT and Director of English and Literacy at Clevedon School in North Somerset. He is also an associate of Independent Thinking Ltd and specialises in training on Literacy, AfL, Outstanding T&L and English. He blogs and tweets under the name of @LearningSpy and I have always found his take on teaching to be both innovative and refreshingly real. What a pleasure it was to meet David and to get an insight into how he goes about planning a lesson. He manages to combine authority with an endearing humility which belies his ‘twitterati’ status as the go-to-guy for English. Alastair Smith had already talked about the problem of many lesson plans being simply “elaborate to-do lists” and David’s workshop continued this theme as he promised us he would demonstrate his “contempt for activities”. Firstly, the visual metaphor of the iceberg to describe lesson planning was perfect. It really is the unseen ‘stuff’ that makes the observed lesson work. And, as someone currently mentoring NQTs and a PGCE student, it gives me a great discussion point for this week’s meetings. 1. How will last lesson relate to this lesson? 4. What are they learning and what activities will they undertake to learn it? 5. How will they – and I – know if they are making progress? Again, not only am I going to reflect on these questions in my own planning but they will become part of my dialogue with the department. I liked the idea of the Pen Portraits. Having certain pupils in each class who are the focus for that unit, skill, module, term etc seems like a good way to do it. David is a teacher. He may have additional responsibility and a sideline in writing and training etc but the man teaches. So when he talks about how “time is precious” and offers ideas of how to work smarter, then this fellow teacher is listening. His assertion that “a set of books marked is a lesson planned” and “lessons can simply be working through the feedback” made me think. Could I (and by extension, the teachers in my department) be working smarter when it comes to marking and planning? Learning: To be able to analyse characterisation. This was my second instant take away from the workshop. I’ll be framing my learning objectives/intentions/outcomes (whatever the phrase du jour is!) in this way from now on. It makes sense. As a fellow English teacher, I always appreciate training delivered by subject specialists. I am confident that whatever subject the audience taught, they would have gained much from David’s clear breaking down of the elements of a lesson but, as an English specialist, the subject-specific element gave this the edge. David went on to talk about how there is no magic formula for a perfect lesson. I agree. He did however point to one fact that separates the good from the great when it comes to lessons. What is it? The relationship between teacher and pupils. As the class teacher, you have an innate advantage or trump card you can play on the observer: your knowledge of the pupils in front of you. “Dare to know” challenged David and he’s right. Thinking about the outstanding lessons I’ve observed and, dare I say it, the best lessons I have taught and they hinge on the teacher’s knowledge of the pupils in front of him/her. If you dare to know your pupils and teach a lesson tailored to meet their needs, designed to help them progress or to challenge them to exceed expectations, then how can it fail to impress those who may be observing? What a workshop. What a guy. Sycophantic? Unashamedly so. I had the privilege to meet someone whose writing I’ve long admired and, do you know what, he deserves the plaudits. 4am on a Saturday morning & my alarm is going off. What would get me up at this unearthly time? Why, the inaugural Teaching, Learning & Assessment Conference at Berkhamsted School of course! The conference was organised by Nick Dennis, Deputy at Berkhamsted (@nickdennis) and publicised on Twitter. The power of the educational network on Twitter means that come 9am on a chilly Saturday morning, around 200 educators who had travelled from the UK, Ireland, the Netherlands and the United States were gathered in the theatre to listen to the first of the day’s keynote speakers. I’m going to do a separate post about the various sessions I attended, each of which have made me reflect on my teaching, but wanted to reflect on the day overall as well. A massive thanks goes to Nick and the staff and students at Berkhamsted for hosting such a fantastic event. To those who gave up their time to be workshop leaders, thank you. A special mention to David Didau (@LearningSpy) Rosie McColl (@rosiemccoll) and Daisy Christodolou (@daisychristo) whose sessions I attended and found both incredibly useful and thought-provoking. The three keynote speakers: Alistair Smith (@alatalite) Bill Lucas (@eed_net) and Bill Rankin (@rankinw) also deserve a mention. You all made me think, re-think and reflect on both my own teaching and my school’s direction and purpose. Equally valuable was the chance to meet, chat and learn with and from fellow educators. In a time when education is undergoing a massive transformation and morale can, at times, feel low it was a pleasure to meet everyone and realise what a passionate and committed bunch we are. And yes, there were moments of contention and disagreement when views were shared which some didn’t agree with. But that’s what made the day so interesting. We all come with different experiences and realities and we bring a variety of perspectives to every issue. The one thing I believe we all had in common was a desire to become better at what we do. Admirable on our day off, no? Finally it was, as always, a pleasure to catch up with Kristian Still (@KristianStill) Vice Principal at The Wellington Academy, fellow mischief-maker, almost-heckler and force-of-nature. This feels almost like a 12-step confessional: my name is Clare, I’m a teacher and I’m addicted to Twitter. Well, addicted isn’t exactly true, but I do use Twitter increasingly to aid my professional development and practice. To non-tweeting colleagues that seems strange. They don’t ‘get’ Twitter and they don’t understand how or why I use it. I’ve blogged before about my participation in the weekly twitter discussion #ukedchat https://dailydenouement.wordpress.com/2010/08/05/ukedchat/ (if you wish to read it again!) but today I’m thinking more generally about the myriad uses I find it has to help me on a daily basis. For the rest of the day I’ve been receiving tweets from a variety of English teachers and other subject specialists with some great ideas for displays. The very generous @daveterron even went so far as to send me some quotations and display documents via DropBox. Fantastic support! Where else but Twitter would I have received this wide-ranging and prompt support? If you teach but don’t tweet, you should! Twitter connects me with other people who share my interests. It makes me reflect on my work. It makes me better at what I do. To tweet or not to tweet? There really should be no question. Yesterday I made four phone calls home to the parents of pupils who had made positive starts to their English lessons. It was an absolute joy to speak to their parents and share a good news story. All week I’d been keeping a note of pupils who had made good contributions to class discussions, settled in well or produced excellent work. In my free period yesterday I made the calls. When I made this resolution for the new academic year I hoped I would find the time to keep it. Hearing the pleasure, pride and (in one case!) relief in the parents’ voices when I shared my news, I’m more determined than ever to keep it up. One Mum said “I was worried for a moment then; I thought it must have been something bad.” That’s what I want to change. I don’t think communication with parents focuses on the ‘good’ often enough, certainly not from a subject-specific point at secondary level. I’m hoping to change that. I’ll be sharing my good news story with my department as term progresses to encourage them to do similar. In the meantime, I’ll just bask a little in remembering the warm, fuzzy feeling I got after I’d made the calls. It brightened up a very hectic Friday, hopefully for those families as well as for me! I’m a terrible hoarder of books and, since becoming a teacher, have found a wealth of weighty educational tomes to add to my collection. I bought this at the end of last academic year and am excited to put some of the lazy philosophy into practice this year. This is a great little book… and I say that in the nicest possible way! One of the best things about this is its size; it isn’t a weighty tome you have to be daunted by. 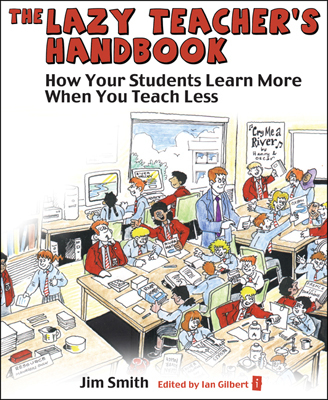 It’s small but jam-packed with practical lesson planning tips. If you’ve an observation coming up or if you just need some basic but refreshing tips on how to make your lessons better then read this. Now this is the kind of book you can dip in and out of. It has a range of activities which can be adapted to suit different phases or subjects. For every activity it gives you suitable room layout, equipment needed and ideas of how it could be adapted to different subjects. Love it! Too Old for Musical Chairs? During the #ukedchat session on Thursday 19th August (subject: Classroom Management Tips) someone mentioned using music as a ‘settler’ when pupils enter the classroom. The way it works is that a song is played whilst the pupils enter the room and they then have until the end of the song to get themselves sat down, bags and equipment sorted and ready to learn. I like this idea: it seems simple and workable. Fussy classes who take time to settle can be very difficult to manage and I find this sort of disruption has the potential to eat into a 50 minute lesson in a very frustrating way. I’d love to hear anyone’s suggestions for any other songs I should include. Oh, and I’ll let you know if the tactic works as a classroom management tool as the term progresses! I’ve been told several times that your third year of teaching is when things “click” and I’m wondering if that will be true. I know that there are several things that seem more achievable this coming year, like classroom management for example. I’ve now worked out how I want my room organised to suit my way of working and how I want the seats arranged to suit my pupils’ behaviour! I feel like my room will be my room this year. Researching my new courses has been fun. Year 13 English Language is proving fascinating. The new GCSE spec seems interesting: next week I’m tackling the prep for the Shakespeare and linked poetry assignment. And somehow, planning and prep seems to be getting easier… It’s a third year thing perhaps? One thing that is definitely going to make a difference this year is my own proactivity in terms of my CPD. I’ve recently found Twitter and participate in the weekly educator’s discussion #ukedchat (Thursday 8-9pm) I’ve attended my first TeachMeet and intend to attend more next year. The power of the PLN is huge… I am actively engaged in my own professional development and it has made me feel completely invigorated and positive. Now if I can only transfer this sense of possibility to the rest of the department then we might be getting somewhere! My next project is Moodle… and that will need a whole new post!